Valuable chunks of the jazz canon go undistinguished—no doubt about that. But while the process of honoring the classics may be forever heroic, there’s no guarantee that listeners will be engaged by past glories. To make hay with yesteryear, artists must imbue the tunes with a personal vision. Sometimes that means upending the originals, sometimes it means refracting the base elements, and sometimes, as with this glide through the hushed gems of Jim Hall and Jimmy Giuffre, it means genuflecting to the initial designs while injecting a deep sense of self. 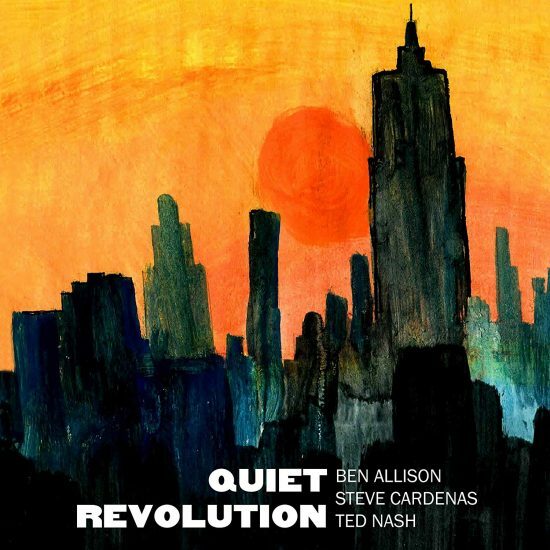 Interpreting pieces introduced in the late ’50s and early ’60s by clarinetist Giuffre’s trios and guitarist Hall’s early work, Ben Allison’s Quiet Revolution has equal interests in grace and delicacy. Check the price of Quiet Revolution on Amazon!